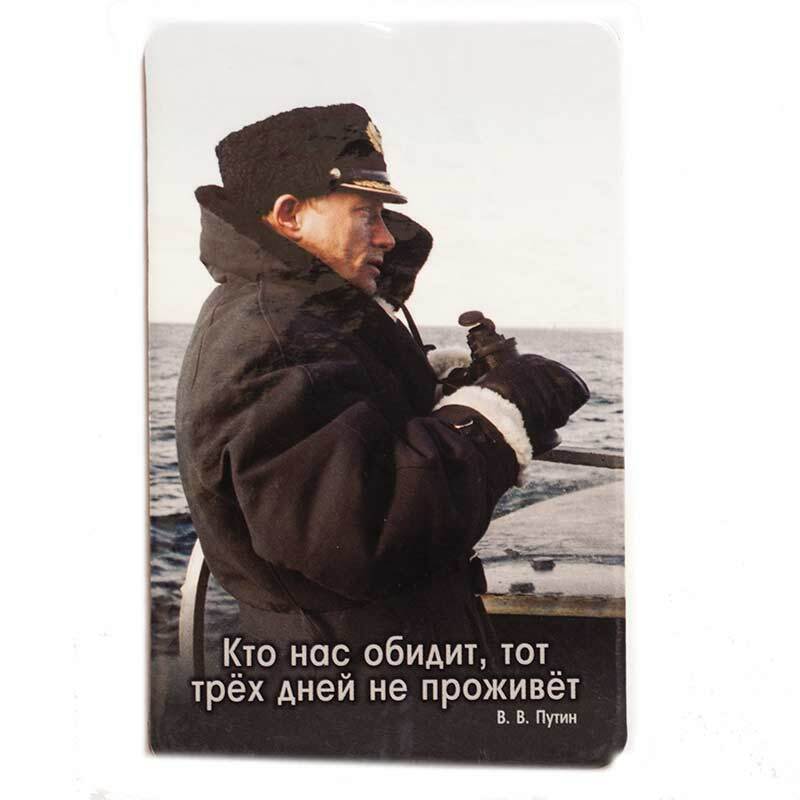 Magnet Putin in NAVY Uniform is made in technique of printing, the picture is laminated and fixed to flat vinyl magnet. The magnet is flat and is about 2 mm thick. The sign on the magnet can be translated as "Those who offend us will not not survive".